Are you searching for a reliable company to install an aluminum fence at your property in Randolph, New Jersey? If so, turn to Virtue Fence. We are the top-rated fencing company in the region because we work tirelessly to earn our customers’ trust. By providing custom designs, using only the finest fencing materials, and ensuring all installations are completed to our high standards of quality craftsmanship, we provide homeowners with an incredible value for their investment in home fencing. When you partner with us, we’ll install a premium aluminum fence from one of the industry’s most highly regarded manufacturers, such as Jerith. These fences make a stately, elegant addition to any property and are available in a wide variety of styles to suit your specific tastes and needs. For example, we can install an aluminum fence that is specifically designed for keeping pets in your yard. 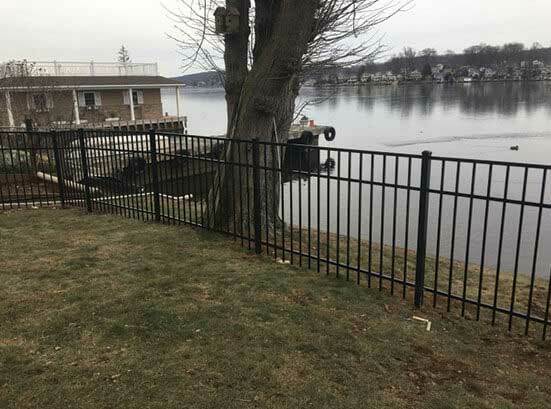 Are you ready to begin the process of having an aluminum fence installed at your property in Randolph, NJ? Contact Virtue Fence today.